From the Samsung Galaxy S series, on the first place of our list we have Galaxy S8. With the Galaxy S8, Samsung has revealed the next generation of smartphone design. 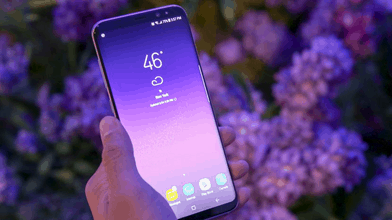 For this flagship model was used WQHD+ resolution, which amounts to a whopping 2960 x 1440 pixels, which brings the density of superb (570 ppi) on Super AMOLED 5.8-inch screen (users will also have access to HD, FHD+ and WQHD+ resolution). 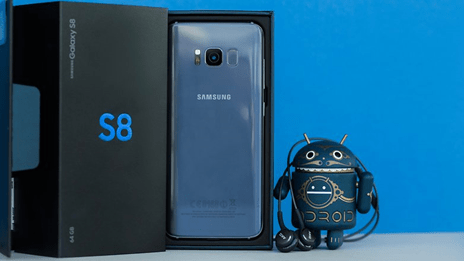 The Samsung Galaxy S8 is powered by 1.9 GHz octa-core Samsung Exynos 8895 processor (Qualcomm MSM8998 Snapdragon 835 – US model) and it comes with 4GB of RAM. The phone packs 64GB of internal storage that can be expanded up to 256GB. Galaxy S8 comes with primary camera of 12MP, f/1.7 and the front of the 8MP, f/1.7. The Galaxy S8 runs Android 7.0 (TouchWiz) and is powered by a Li-Ion 3000 mAH non removable battery. The price for this phone is $870. On the list of the best from Samsung we have to mention the larger model Galaxy S8+. The Galaxy S8 and Galaxy S8+ are mostly identical smartphones. The primary differences are battery capacity, dimensions, and screen size of the Infinity Display. It’s 6.2-inch display with the same resolution and display technology, which is a dual-edge curved display with an 18.5:9 aspect ratio. The Exynos 8895 SoC on the Galaxy S8+ is coupled with 4GB of RAM, also comes with 64GB of internal storage (extendable up to 26GB), and support wireless charging as well as fast charging. The cameras are the same, (12MP + 8MP f/1.7). Galaxy S8+ pack Li-Ion 3500 mAH battery and comes with a price tag of $980. The third is Samsung Galaxy S7 edge. Samsung’s Super AMOLED screen of 5.5 inches and Quad HD resolution (1440 x 2560) with 534 ppi which provides exceptional sharpness. 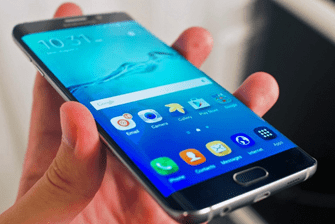 Water resistant (IP68 certified) Galaxy S7 edge under the hood features a new octa core Exynos 8890 with clock rate 2.3GHz while for the other markets is powered by Snapdragon 820 from Qualcomm. There is 4GB of RAM and (32/64/128GB) of internal memory (expandable up to 256GB). Samsung has a Li-Ion battery with a capacity of 3600 mAH, which supports Quick Charge 2.0. Main camera is 12MP, with aperture of f/1.7, while the frontal is 5MP. Price for Galaxy S7 edge is about $600. 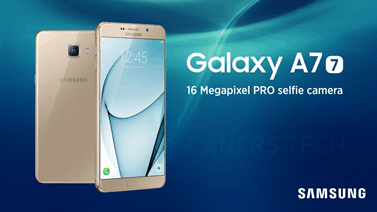 Samsung Galaxy A7 is the next one, and comes with Super AMOLED screen of 5.7-inches with a resolution of 1080×1920 pixels (386 ppi). Exynos 7580 processor dramatically increases performance of A7 models. Octa-core at 1.9 GHz with Mali-T830MP3 GPU and 3GB of RAM give excellent performance. Internal memory is 32GB expandable up to 256GB. A7 comes with Android OS, v6.0.1 (Marshmallow). When it comes to optics, it comes with the same features for both of them (16MP, f/1.9.) With a battery of 3600 mAH Galaxy A7 costs slightly below $580.